Gilmore Builders collaborated with the owners and Connor Mill-Built Homes (a Vermont based panelized home building systems company) to design, value engineer and then build this custom home. The home is a traditional New England style referred to as an "extended cape." This amazing home contains approximately 4,000 SF of finished space, 5 bathrooms, 2,500 SF of additional unfinished space and 2 more baths fully roughed in. 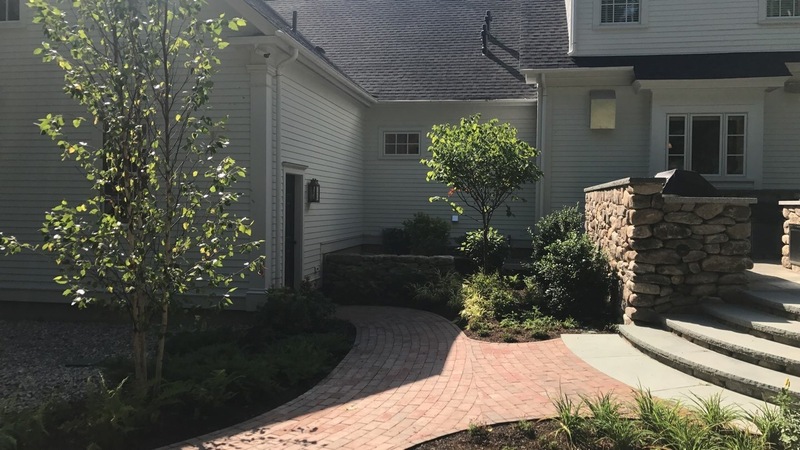 As an understated but truly elegant sophisticated home, it has the latest entertainment and convenience electronic systems, advanced building materials, a cutting edge geothermal HVAC system, and extensive landscaping. Photos are provided below. The owner’s review of Gilmore Building Co.'s performance is presented next. It also provides more details on the design and construction. "Gilmore Building Company is a professionally run company founded by Eric Gilmore. He has a Master's Degree in Construction Management from Worcester Polytechnic Institute and has a Civil Engineering background from Syracuse University. 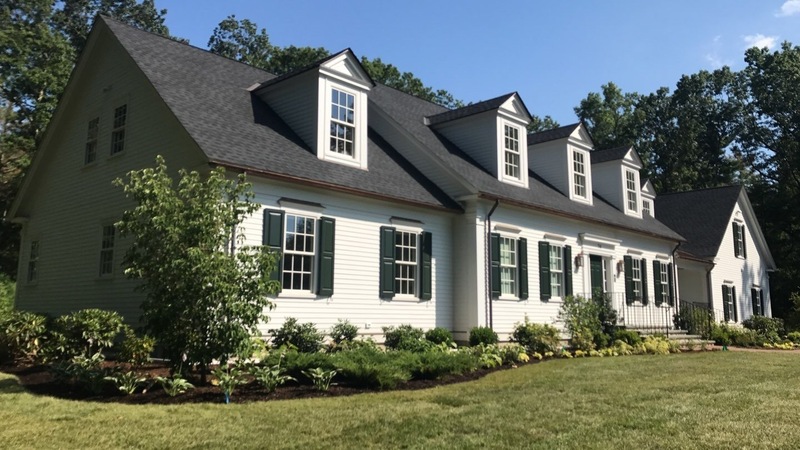 Given the new, more challenging building codes in New England for energy efficient homes, Eric is one of the few builders I interviewed who has kept up with the latest building technologies. The custom home Eric built for me is a classic design with custom trim, best practice in energy efficiency using the latest hybrid insulation techniques, new geothermal heat pumps using coaxial wells, hydronic snow melt, home automation, high end internet connectivity, and security, as well as robust electrical design with backup generator. Eric worked well with top building architects, engineers, landscape architects, and interior designers. The house design was done using computer-aided design (CAD) drawings, the (panelized construction techniques) panels were cut on computer controlled milling machines (CNC) with great precision . The ultimate building envelope is largely maintenance free using materials like mahogany trim, copper flashing, Zip wall, breathable construction, Advantech flooring (better moisture resistance and nailing benefits over plywood), Hardiplank siding, interior stone and quartz, and exterior stone work. Eric's engineering background and experience has allowed a cost effective design to achieve the mandatory HERS energy index ratings adopted by Massachusetts municipalities (started in 2012). 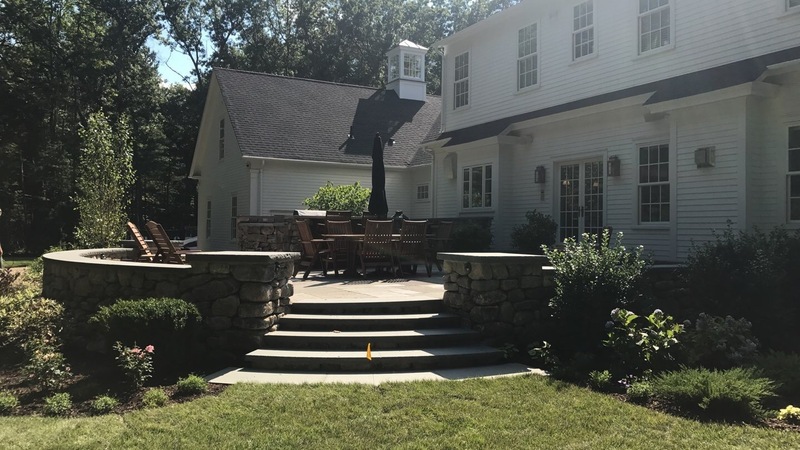 My main objective in designing and building this home was to find a builder to construct a traditional / classic home with high technology amenities and advanced construction techniques. Eric is one of only a very few builders I have found that could satisfy those objectives."